Susan is the deputy editor at delicious. 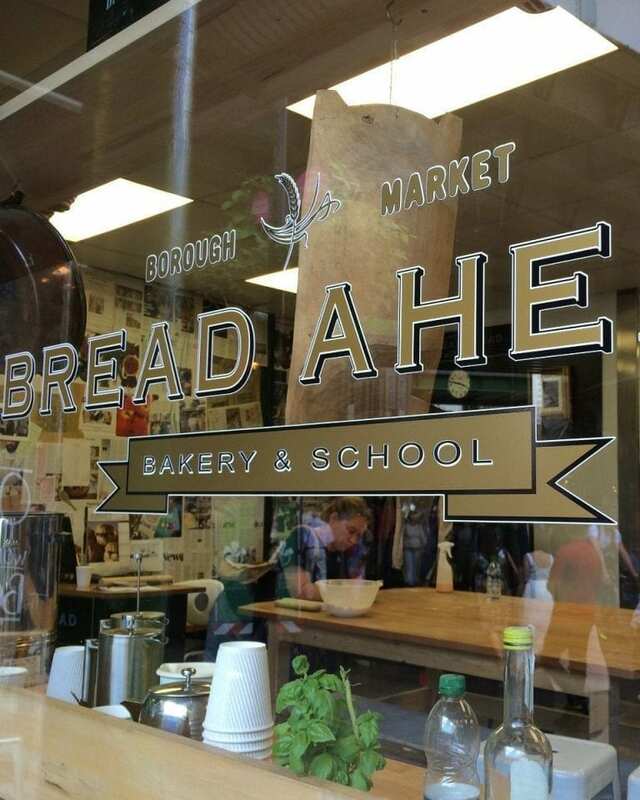 Taking a class at Bread Ahead, in the middle of London’s Borough Market (round the corner from the delicious. offices), is about as close as you’ll get to feeling like a professional baker – without actually being one. Bread Ahead is a working bakery and a cookery school, so the workstations, ovens, ingredients and equipment used by coursegoers are the real deal – the same as the pros use. The other thing Bread Ahead has in its favour is the quality of the teachers. My course leader was master baker Aidan Chapman, who’s been baking fine loaves for 30 years. His experience has given him knowledge, passion and great teaching skills, as well as a sense of fun. Ten of us donned white aprons and gathered round the central bench to measure out ingredients while Aidan revealed the first secret to a fine pizza base: a poolish starter. It’s a word that vexes Microsoft Spell Check, but one you need to know if you like a stretchy pizza base rather than something that resembles damp cardboard. 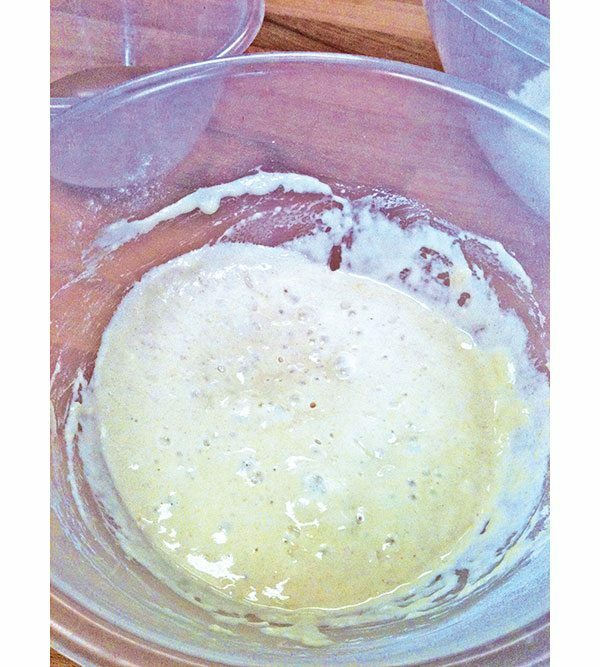 A poolish is a kind of shortcut sourdough starter. 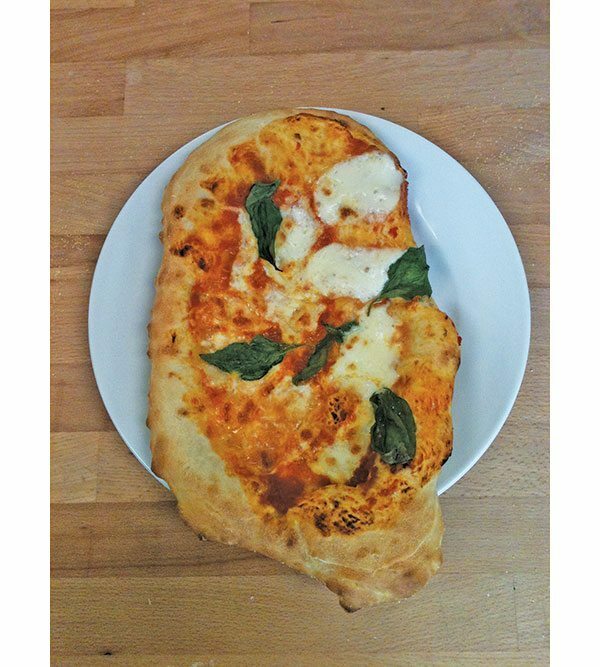 To make it you need good bread flour, water, a bit of fresh or dried yeast – and time. For convenience, Aidan brought out a “here’s one I prepared earlier” poolish dough and gave it a firm 10-minute kneading to develop the gluten. He then revealed secret number two: “If you want a thin, crisp base, use a rolling pin. 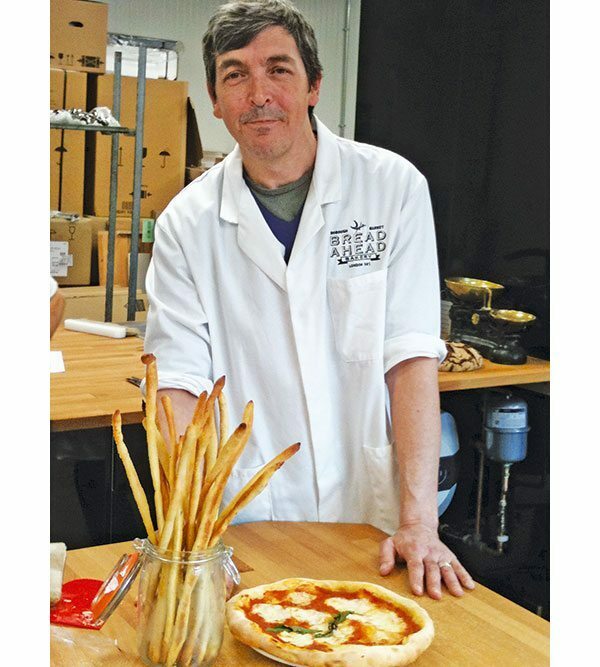 If you want a puffier base with a thicker crust at the edge, do it this way,” he said, holding the dough up in the air and carefully turning it with the grace of a Neapolitan pizzaiolo, letting gravity do the work of stretching the dough out into a neat circle. Once the bases were formed, we cooked up a quick tomato sauce topping, then added a few slices of fresh mozzarella and a drizzle of good olive oil. Secret number three? The oven temperature. Basically, it needs to be as hot as Hades – as high as most conventional home ovens will go. To give it a boost, Aidan suggests heating an upturned shallow baking tray in the oven first, then putting the prepared pizza onto the hot tray, and cooking it for just five minutes. The finished pizzas looked beautiful and tasted great. 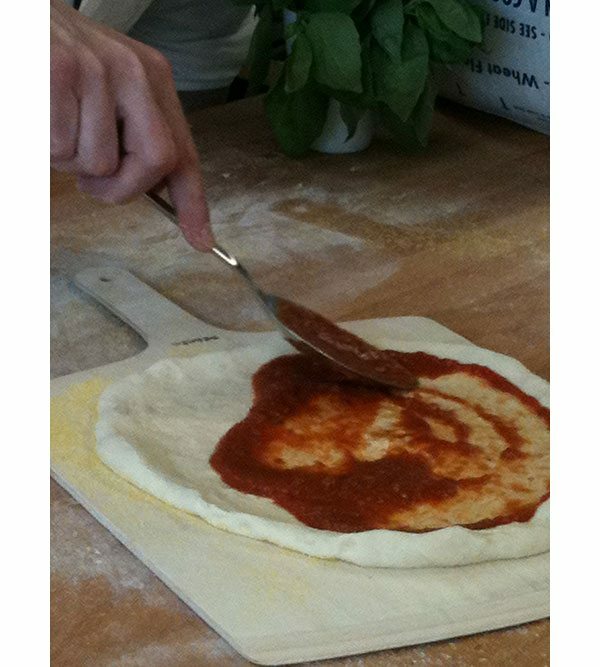 Aside from shaping the base, which is trickier than Aidan made it look, making pizza was easy and satisfying. You can apply the principles to making bread loaves as well, so the course is doubly useful.